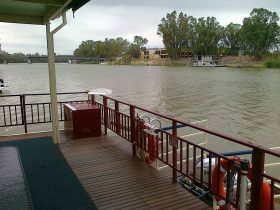 Launched late 2011 Outback Star joins Amazon Star as two of the newest boats on the River Murray. 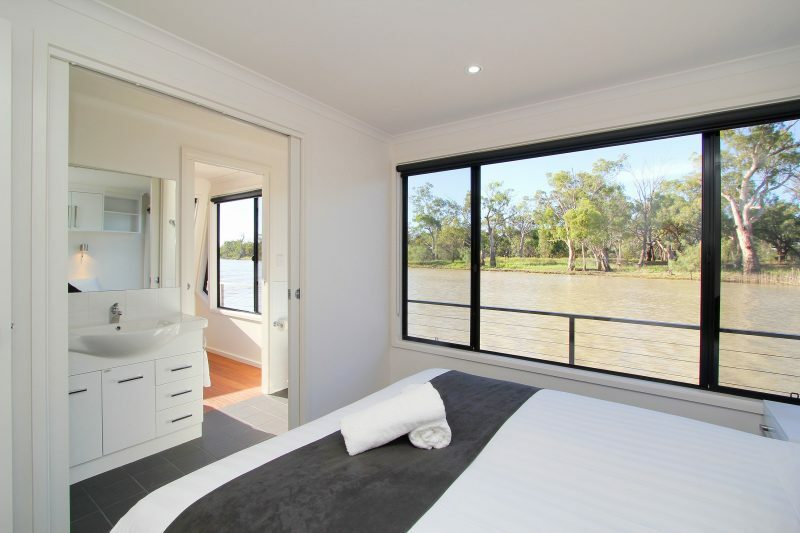 There are three queen ensuite bedrooms with split apart beds and high quality linen. A fourth queen bedroom is at the front. 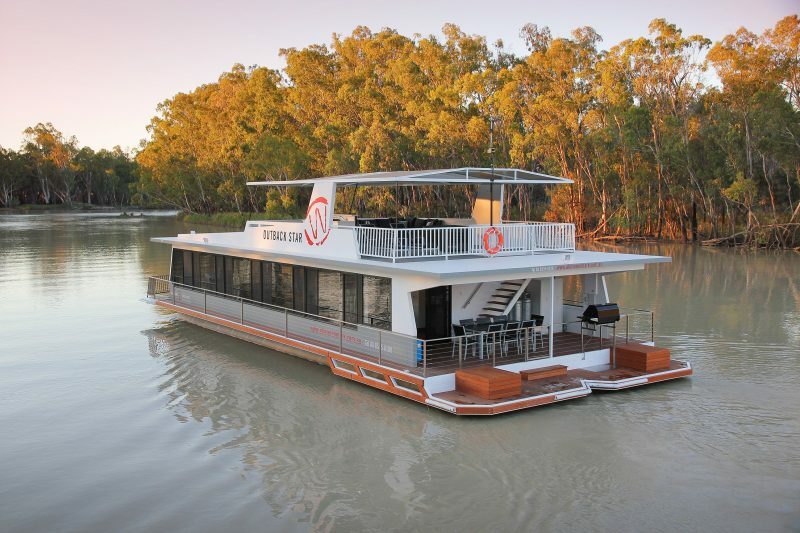 Relax on the top deck at the built in bar and pour yourself a Woolshed Brewery beer from the keg fridge or cook on the hooded beefeater four burner barbecue. 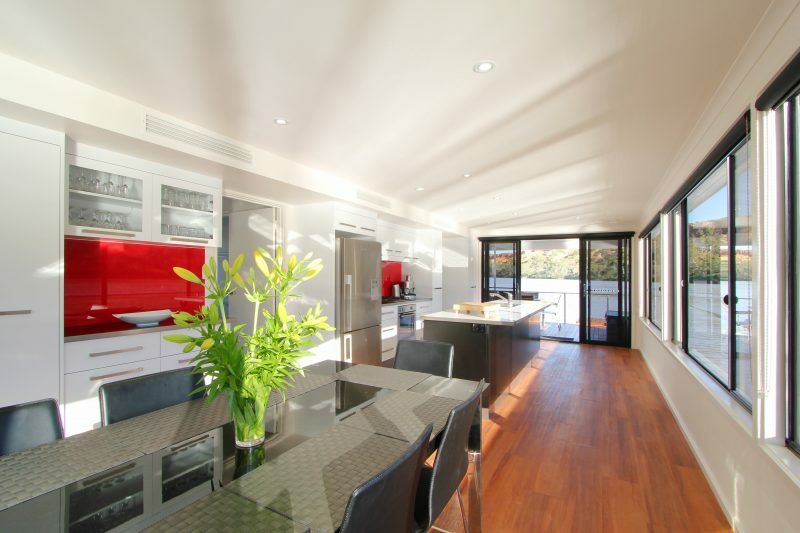 There is also a large rear deck with eight person outdoor table and chairs. 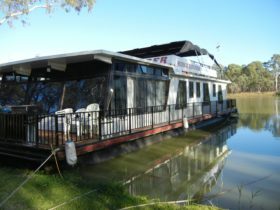 Other features on Outback Star include ducted evaporative cooling, gas heating, LCD television, DVD player, and stereo system with outside speakers. The gourmet kitchen has stainless steel appliances, dishwasher, fridge with cold rain water and ice maker, coffee machine, sandwich press, high quality cookware and combined/washer dryer. There is continuous power running from extra quiet below deck generator. 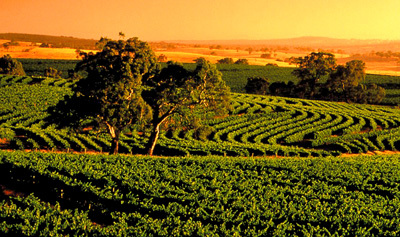 Outback Star is pet friendly. 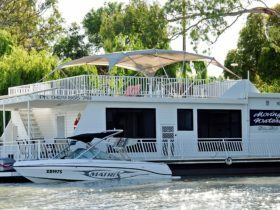 Outback Star is the newest edition to the Wilkadene fleet of houseboats. 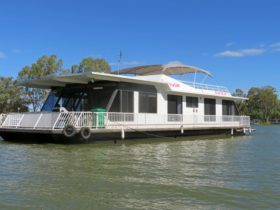 The houseboat sleeps up to eight guests in four queen size rooms with beds that can be split apart in three of the rooms.